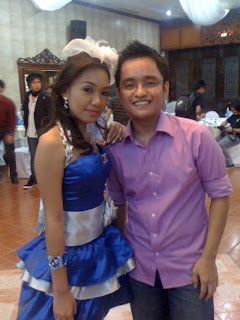 Last June 14, 2010, I was invited by Czah to attend her debut. She actually asked me to do something for her on her party. At first, I was really hesitant to do it but I just couldn't resist her sweetness and charm. LOL. She has been a good friend too so, why not? Talking about that favor, she asked me to sing on her debut. I said I was hesitant to do it at first because it has been years since I last did that. However, I already said yes and "a yes is a yes." It made me kind of nervous at first but then everything went well and I enjoyed it. After that, I actually missed singing, performing and all that. I really love doing it. 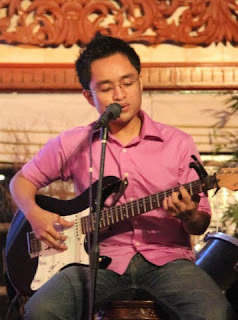 It's my passion but I just don't have the chance of doing it always. Well, what's important is I was able to do it again and it felt really good.